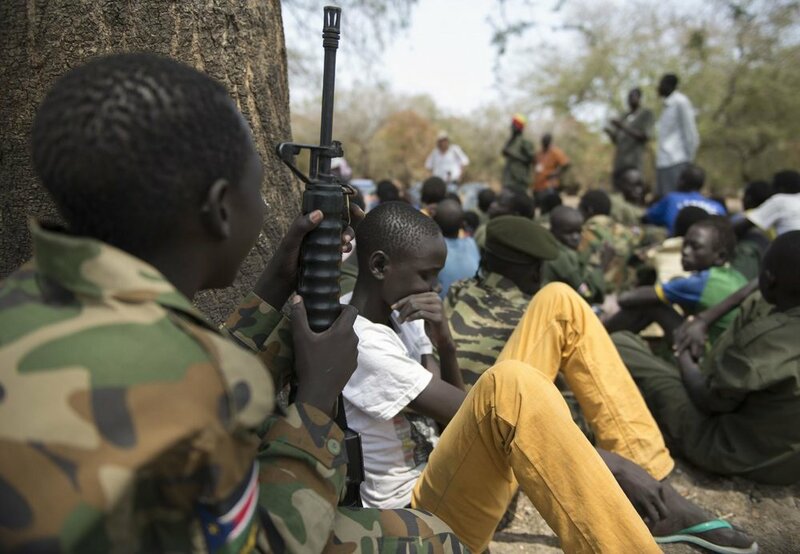 It was just before dark, and Charles was pulling weeds with his father in South Sudan’s Western Equatoria state when roughly a dozen armed rebels appeared, demanding he join their ranks. Charles was terrified. His father tried to intervene, but he was outnumbered. That night, Charles, whose name has been changed to protect his identity, was separated from his father and forced to become a soldier. He was just 13 years old. For five months, Nyabany and her five children had avoided the gunfire. But they were dying all the same. The “constant” firefights near Nyabany’s village brought on by South Sudan’s civil war drove her family into nearby swamps, where they hid partially submerged in water and ate water lilies to survive until the fighting died down. But by November, even the flowers became impossible to find, and starvation soon set in. “Hunger was worse than the shooting,” Nyabany said.